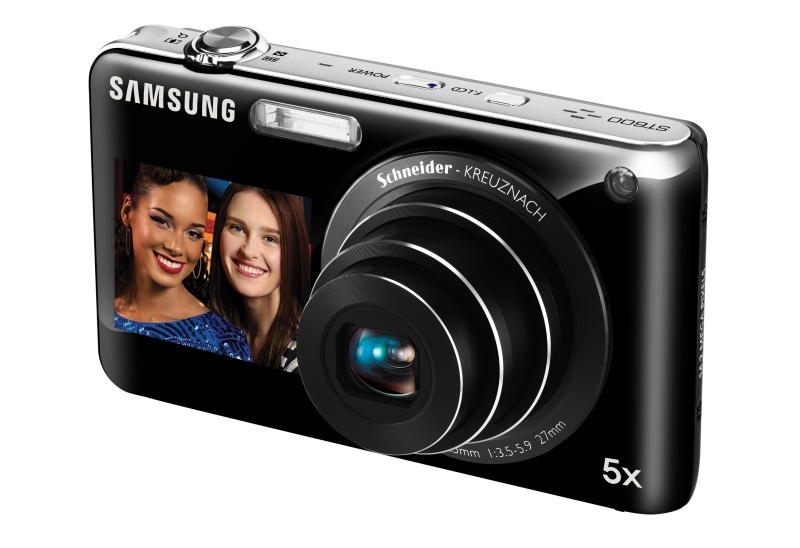 Samsung has created yet another appealing ultra-compact digital camera that sports their popular Dual View functionality. This unit receives several upgrades over past models, many of which is shares with the ST100. 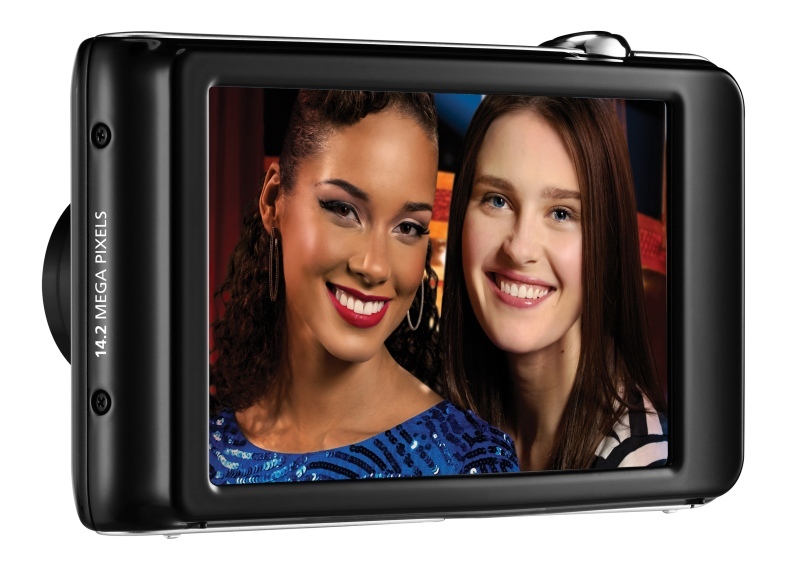 However, the ST600 seems to produce sharper images, and offers a great value for a 14-megapixel digicam. Read more in our Full Conclusion. 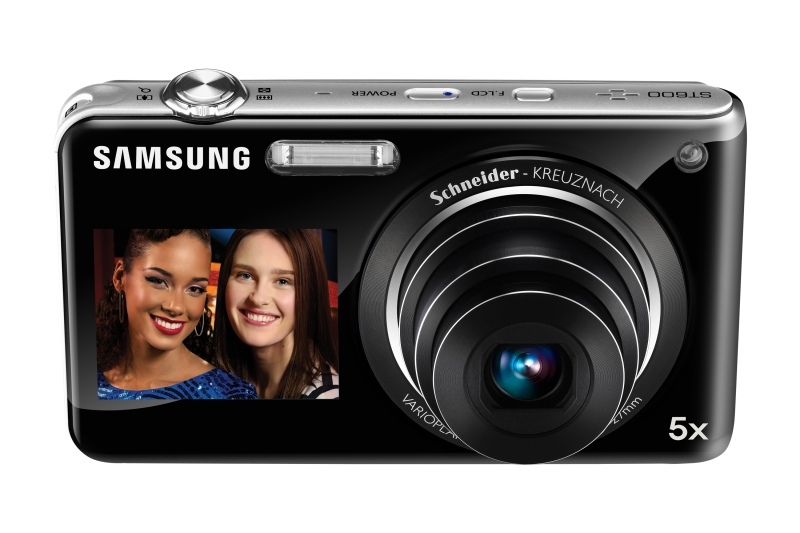 Based of the success of previous Dual View cameras (like the TL220 & TL225), Samsung is adding some new models to this lineup, including the ST600 and ST100. 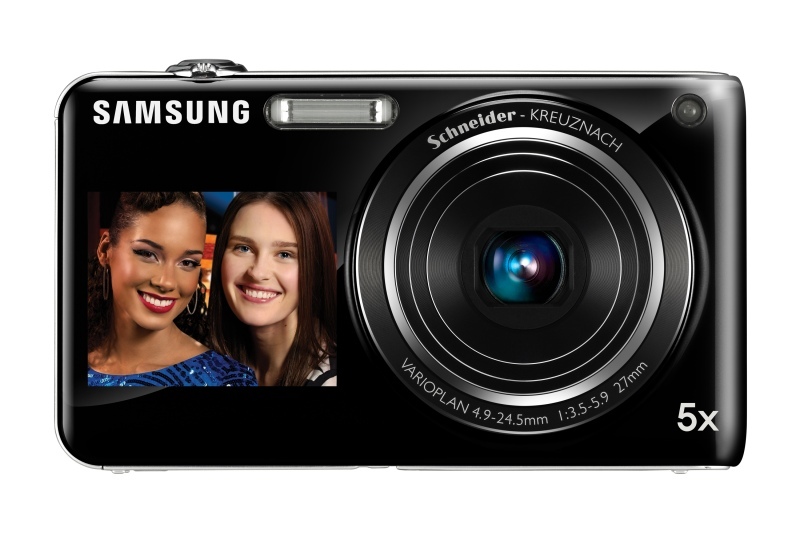 New improvements include a larger front LCD (1.8-inch from 1.5) as well as increased resolution to 14-megapixels. 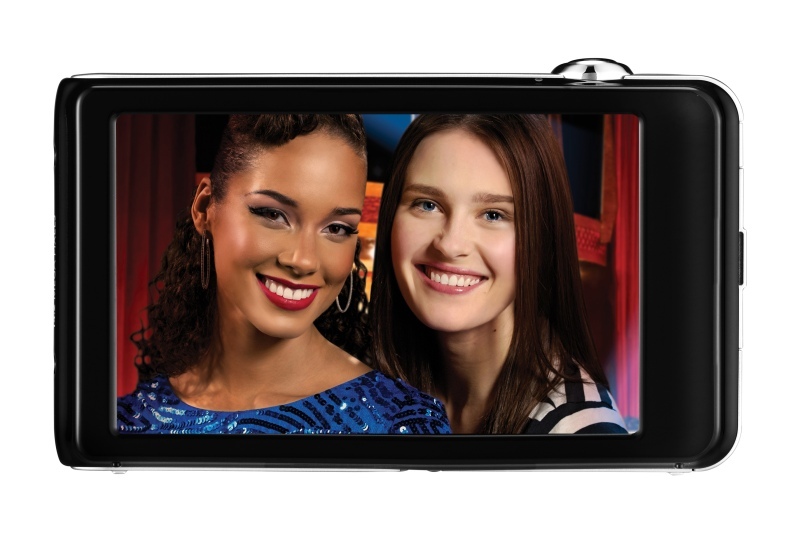 The ST600 also sports a 3.5-inch touchscreen LCD on the rear of the camera, smart face recognition, 720p high definition video capture and a 5x optical zoom lens. 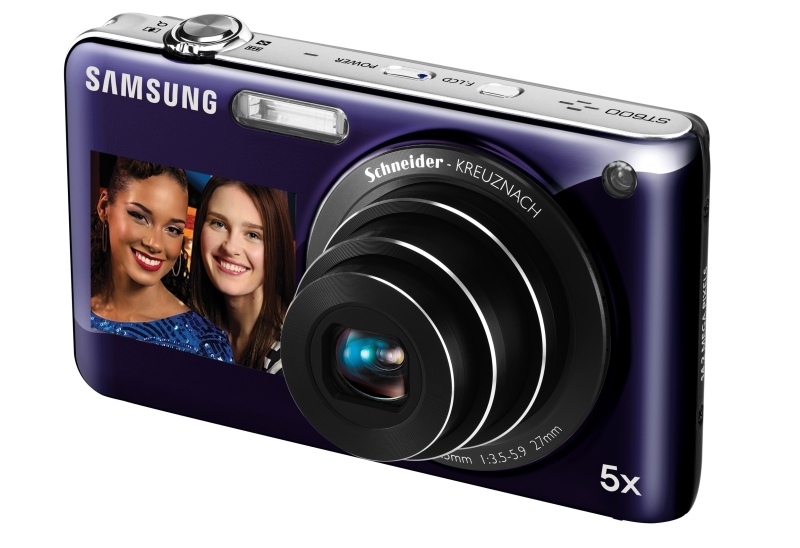 The Samsung ST600 is available in black, purple, gold or pink with a suggested retail price of $329.99 US.